Nutrient for the day… iron. Two points I want to make in today’s post: 1) Iron is important for babies and toddlers, especially in their early development, even though signs of deficiency may not show up until kids are older, and 2) you can get enough iron if you choose not to eat meat. It just may be harder. As with many nutrients, iron is essential in the healthy growth and development of infants and children. Iron deficiency is associated with poor developmental outcomes, even years after infancy. 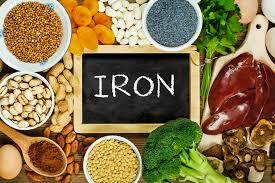 Low iron stores have also been implicated in sleep problems in children and restless leg syndrome in adults. 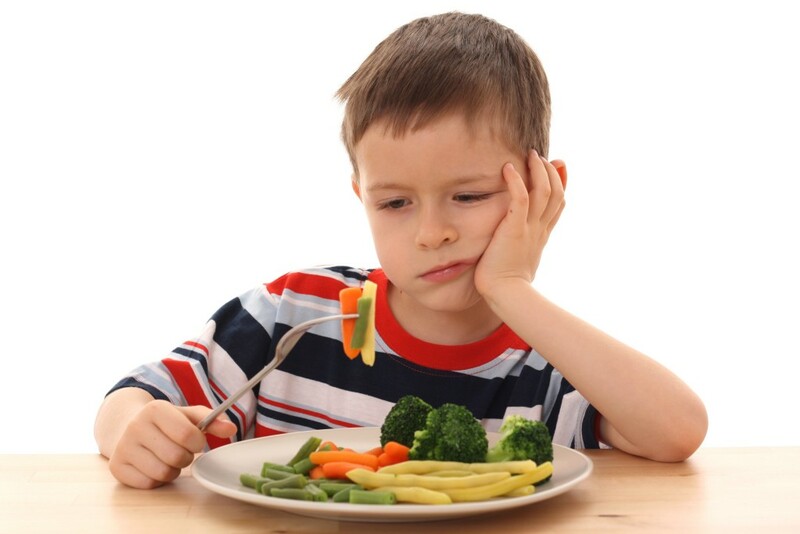 Treating iron deficiency may also help with ADHD symptoms and sleep problems in affected kids. Note that pediatricians are screening for iron deficiency around 9-12 months, which is a helpful gauge for parents. Babies receive iron from their mothers in the third trimester of gestation. These stores run out at around 4-6 months, making it essential for babies to receive iron-rich foods by 6 months of life. This is why iron-fortified cereals are such a popular first food (see my opinion on these cereals here). Below is a list of naturally occurring iron-rich alternatives for your consideration. Meats. Yes, I am a vegetarian, but I am not biased toward vegetarian iron sources (at least not for infants). In fact, the iron in meat, known as heme-iron, is easier for the body to absorb and utilize. In some cultures, foods like lamb are a first food because red meats are an extremely good source of iron. Meats also contain fat and zinc, two more essential nutrients for infants, especially babies who are born early. Since I am vegetarian, I asked my brilliant colleague, Dr. Hope Scott, for some tips on meat preparation. She recommends baking or grilling poultry, like chicken, and cutting it into small pieces (please note: for poultry, it is best to cook thoroughly to an internal temperature of 175 degrees, to avoid risk of food poisoning). For infants just starting out on solids, you can cook and then puree your meats. As they are able to eat finger foods, anything you can gently mash between your thumb and index finger is something your baby should be able to chew with his gums. You can also cook a ground beef or ground turkey patty on the stove top. If you make your own ground beef or turkey, you can sneak in some veggies. This is helpful as infants get older and become a little pickier. For parents interested in non-meat iron sources, read on. Seeds. Many seeds, like sesame, pumpkin and sunflower, are good sources of iron. Reach for the unsalted, unroasted types. They will maintain more of their nutritional value if they are in their natural states. As with so many foods, some seeds can pose an aspiration risk for small children, so crush or grind larger seeds to suit your child’s needs. Whole grains. There are many reasons to choose whole grains, like whole wheat and brown rice over their refined, white counterparts. Unrefined grains contain iron, fiber, protein, and various micronutrients that are lost in the process of refinement. When refined grains are labeled “enriched,” some, but far from all, nutrients are added back to the mix (read: still better to go with the natural, whole grain whenever possible!). Oatmeal is a whole grain we sometimes forget. Rolled oats or steel-cut are great breakfast options, full of iron, fiber and protein (as opposed to the processed baby cereals). Dark, leafy greens. Greens like spinach and some baby lettuces are great sources of iron. 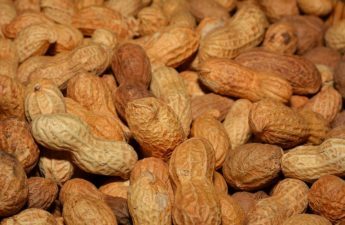 Use these in salads and sandwiches or cook them into soups and stews. 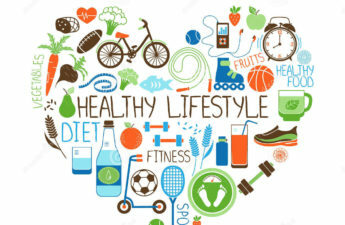 Eat your iron with foods rich in vitamin C. Vitamin C (lemon juice on your beans, or a side of orange slices, strawberries, or tomatoes with every meal), markedly improves your body’s ability to take in that iron. Limit dairy consumption. The calcium in dairy may make it tougher for your body to absorb iron. However, in one study, milk consumption did not interfere with iron absorption. The bigger problem is probably over-consumption of milk by toddlers. After age 1, sixteen ounces of milk per day is plenty. More than that starts interfering with acquisition of nutrients like iron. Avoid tea or coffee with your iron. Compounds found in both these beverages, but especially tea, reduce iron absorption. Kids should not be drinking these beverages anyhow. Just a personal note for parents whose kids are not big meat eaters: I had my daughter’s 18 month physical recently, and since she is vegetarian, her pediatrician checked her for anemia. I was a little nervous, because, like every parent making decisions for his or her child, I sometimes second-guess myself. I did not want my vegetarianism to cause my baby girl to be anemic (then her development would be affected, and she would have school problems, and before I knew it she would be tattooed and a druggie all because I decided her diet for her. These thoughts ran through my head, despite my knowledge that the majority of vegetarian kids in the US are not iron deficient). Turns out, her hemoglobin was nearly off-the-charts high! So there is hope for all parents whose kids do not like meat or for kids raised in low- or no- meat environments for personal reasons.